Isn’t this so true? 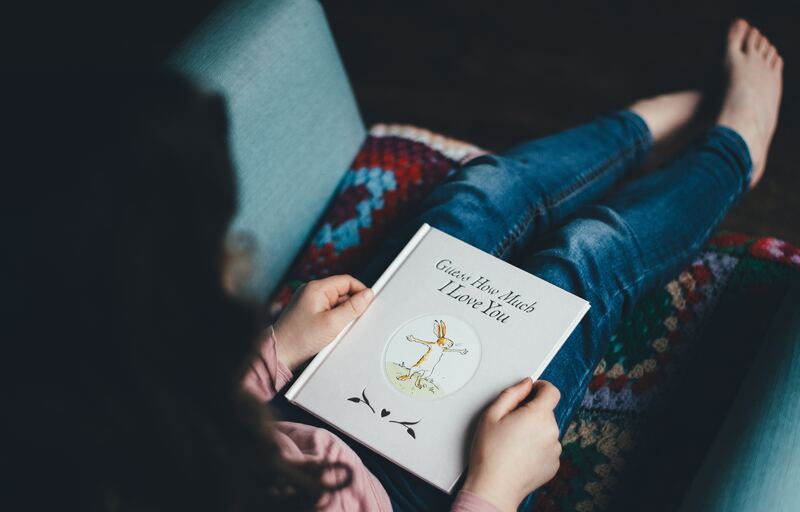 It’s the season of gifting and in case you haven’t been able to figure out the best gift for the little ones in your family yet, try including some books. Of course, there is a different joy in receiving toys or chocolates as gifts but books have their own charm when it comes to gifting. Wondering which books to gift this holiday season? Well, there are many options to choose from, I suggest to try out based on the interest of your little one. While you must be knowing the popular titles on your own, here’re some Indian titles that I came across this year and quite liked these for my little one. I think these will make great gifts for children of different age groups. Now there is a Panchtantra by Gulzar, this I wasn’t even aware of. The intro of this book by the “Nanu” Gulzar for his grandchild Samay is quite sweet. 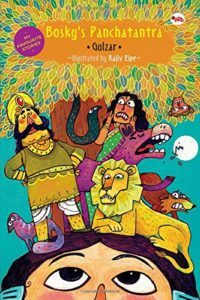 It’s a collection of some of the best-known stories from the Panchatantra and the first chapter is about the history of Panchatantra tales. This will make for a good read-aloud book for kids below 6 years age and self-reading for 6 to 10 ones. Definitely worth giving a try. A story of adventure and courage, this book pretty much presents the saying – where there’s a will, there’s a way – in a story format. 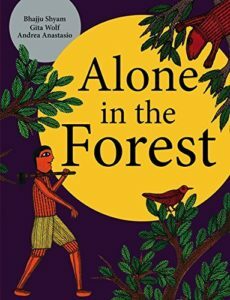 It’s about a young boy Musa, who sets off alone to collect wood from the forest near his home. During his journey, he loses his way. Would he be able to reach his home back? You can read it to know more. What’s the best about this book? The illustrations! Absolutely stunning and very Indian, this book has been illustrated in the Gond form of art by the very famous Gond artist, Bhajju Shyam. My 6-year-old kept on looking at the pictures again and again and I think this will be a good read for 5 to 7 years old. Were you a fan of R. K. Narayan books while growing up? If yes, chances are you might like the books by Sudha Murty too. At least to me, her stories remind me of books by R.K. Narayan – full of innocent anecdotes from regular day to day life. 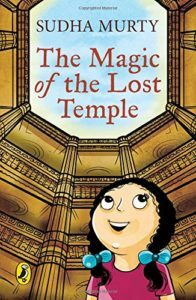 The Magic Of The Lost Temple is about Nooni, a city girl who is very surprised at the unexpected pace of life in her grandparent’s village in the state of Karnataka. Packed with many interesting twists and turns, this book not only makes a great read for kids but it’s worth giving a try for elders too. I had recently gifted this to few girls in the age bracket 8 to 11 years and all of them absolutely loved it. Looking for something for younger kids below 5? You may give some of the titles from Tulika Publishers a try. 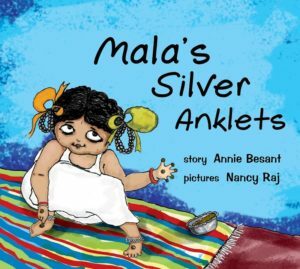 They have many interesting titles and I recently came across Mala’s Silver Anklets by Annie Besant. Packed with gorgeous illustrations by Nancy Raj, this is a cute book about a naughty little girl Mala who tries to scare everyone in her family. What happens after she starts wearing an anklet? Read it to know more. Would you like to give something around science but presented in story format? Dhooli’s Story might be the answer for you. It’s about Dhooli, a tiny speck of dust, that flits and floats in the air with her friends, who flies past clouds and aeroplanes and ends up watching rainbows in the sky. 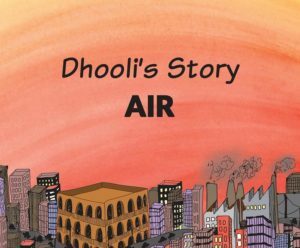 This book focusses on air and at the end of the storybook, there are some interesting scientific facts about air and the layers of the atmosphere above us. This book by Tulika Publishers is one of the five books in the series, First Look Science, that was visualized by design students in a classroom project with Srishti, Bengaluru, other four are on – Space, Water, Earth and Earth’s Surface. It’s a good book for read-aloud for below 5-year old and self-reading for 5 to 8-year ones. The information on the last two pages of books can be actually useful for above 8 too. Do give these books a try but as I always say, these are some of the books that the mommy me enjoyed reading with her little one. 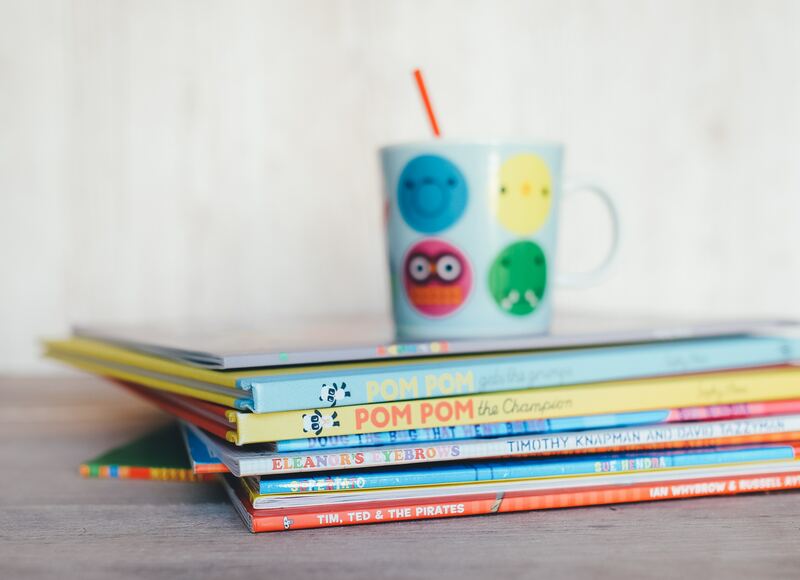 It may happen that your junior won’t like some or all the books from this list and that’s perfectly fine. Every child has his/her own preferences, let’s just respect their choices and read them what they want. Before I go, one fun fact about me – I just love painting bookmarks, you can see some of my hand-painted bookmarks here. When I gift someone books, I try to include these little hand-painted love along with those. I have been trying to encourage my little one also to do the same. So, this Christmas vacation me and my 6 year old created some Christmas-theme bookmarks for his friends. After making one or two, he got hooked on to these and made many on his own. Have a look at these easy and quick hand-painted bookmarks ideas, perhaps the junior at your end might enjoy doing these too. In case you liked this video, feel free to share it with the mommies who are looking to creatively engage their little ones during vacation time.